… is expert for point motivation and lifebalance. He has gained experience from working as a trainer and coach for more than 20 years while extending his broad knowledge of success related philosophies, leadership roles and personality development. In 1995, Thomas Schlechter founded CityNEWS, Cologne´s largest circulation city magazine, which he successfully sold in 2003. His book “Das Drehbuch meines Lebens” (“The screenplay of my life”) was published at the beginning of 2004. Development of the enerise-concept based on 20 years of experience as a trainer. He coaches prominent people, entrepreneurs, top athletes, companies and sports teams. 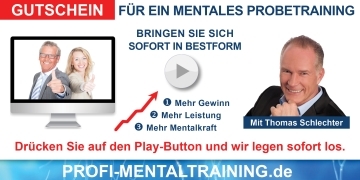 Thomas Schlechter´s coachings provide concrete content and practical exercise which enable every participant to get much closer in touch with themselves, their own consciousness and power reserves. His entertaining way of conveying practical strategies for the personal state of peak performance inspires his clients to strengthen their own powers. Strong motivational, coworkers-, sales- and success-training with enerise.